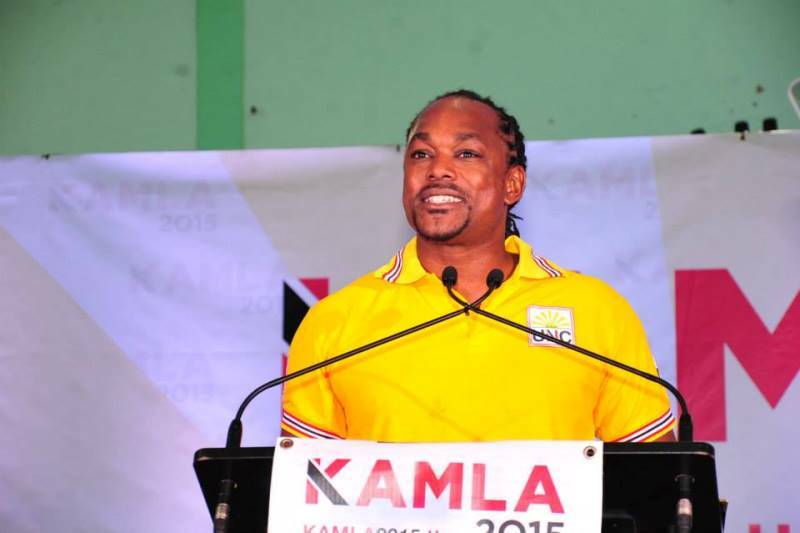 Brent Sancho – Minister of Sports – Government of Trinidad and Tobago and the representative for Toco/Sangre-Grande UNC People’s Partnership Party. Brent was born on March 13th, 1977, in Maraval at Stanley’s maternity Clinic, to a mother originally from Freeport Trinidad, Pearl Sancho (nee Mc Nish) and a father from Belmont, Trinidad, Keith Sancho. He attended Trinity Junior Boys School, Trinity College and then Malick Senior Comprehensive. Brent migrated to the USA initially attending Essex Community College, where he attained an Associate’s Degree in English, then transferred to St. Johns University in New York city where he graduated with a Bachelor of Arts Degree in Psychology. While at St. Johns, he was also a member of the school’s only National Championship Soccer team, in 1996. As a reward for his accomplishment the team was granted a private meeting and blessing with Pope John Paul II. Upon graduation from St. Johns, Brent’s International Soccer Career took him first to MYPA in Finland, then to various teams throughout the US, UK and Scotland. All the while playing for his beloved country Trinidad and Tobago, at one point Captaining the team in 2002 and making his mark as a member of the Trinidad and Tobago Soca Warriors at the 2006 World Cup. In 2006, Brent announced his retirement from International Football and returned to Trinidad and Tobago where he owned/coached and eventually established his own team Central FC. Central FC during its debut years, won the Trinidad and Tobago Professional League, yet again another first. In February 2015, Bhe was appointed Minister of Sports under the current UNC People’s Partnership. He has already made his mark and continues to do as he says “one of the best jobs ever”. Brent is married to Suzanne Sancho (nee Mitchell). And they have two beautiful children, Jaden and Iliana. He is a family man with deep faith in God. Brent plans on utilizing the lessons from his illustrious sporting career and his faith to be that representative for the people of Toco/Sangre-Grande.